Many people wonder: “How to negotiate the debt yourself?” While we do not say it is not possible, it’s going to be really hard to do. We recommend the help of professionals to get rid of the debt once and for all. We will match with the best debt consolidation company that will write a debt settlement letter for your credit card and whatever else is needed to start the process off right. Get out of debt with our help! The amount you are going to consolidate. Sometimes a minimum debt amount may be required to be able to enroll in the program. The cost of fees. Find out all the fees necessary to be paid monthly and consider if you are able to cover them monthly. The amount of the interest rates and overall spending. The program lowers your monthly payments as interest rates are reduced. Still, you should be careful as repayment term may be longer and result in more spending. Keep in mind that the extended term of loan may lead to the increased interest payment over the whole loan period and higher total costs. As always, we recommend using professional help when it comes to your personal finance. A good debt consolidation company will take care of everything in a blink of an eye. You won’t need to go through an unpleasant process of settling of your credit card debt. Besides, most people have at least 2 credit cards with debts. We are not the ones who will do the settlement of your credit cards debt. We are a loan connecting service. Based on the personal and banking information you provide us with in the bad credit debt consolidation application form, we will try to connect you with the top company that will consolidate for you. Basically, you don’t even need to know how to negotiate with debt settlement with credit card companies. The consolidation company is fully in charge of the process. Of course, they will introduce you to the main steps they will need to take. We recommend checking everything at least two times before you sign your credit card debt settlement agreement. Don't waste your time. Consolidate the debt online! Have a simple terms and conditions policy. Everything has to be crystal clear as to how the company operates and what is involved in the process. All resolution offers will be approved by you. These are the very few things a reputable company has to do the least. You have to be in control of the whole debt consolidation process from the beginning and until the end. Also, make sure to check with the company how settlement for your debt will impact your credit score. Personal Money Service is always the first to tell its customers to take care of their personal finance. We teach you how to improve or even restore your credit score. But it does not mean that we are not willing to help in emergency cases when you need to do something about your debt. Statistics shows that people, who have many debts, have eating and sleeping disorders. We would not want anything like that to happen with you. Have credit card debts? 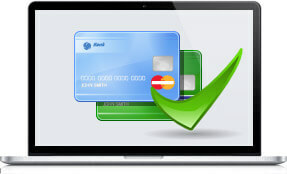 It is possible to fix the situation by choosing a credit card debt settlement option online. The best loan consolidation companies will do the job for you. No need to worry. You are in good hands. Come on, consolidate with us!